Custom challenge coins with NO SETUP FEES! At LogoTags, we make it easy to create, order and have your custom coins at your doorstep in almost no time at all. You can either buy online or fill out our free quote request form, and one of our highly trained promotional product specialists will contact you to provide options, pricing, and answer to all of your questions. We will walk you through the simple process and make sure your coins are precisely how you want them before they go into production. We also offer custom packaging, coin displays and more. 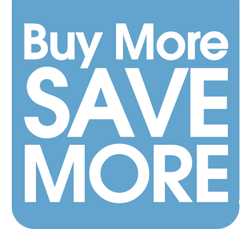 So buy online or request a quote today to see why LogoTags is the industry leader in challenge coins! CUSTOM CHALLENGE COINS WITH NO SETUP FEES! We don't charge setup fees. 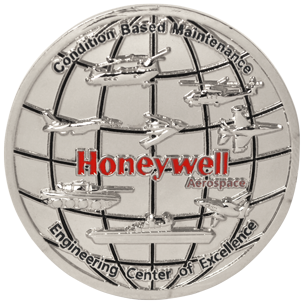 Our custom challenge coin pricing is the best in the industry! Click below to visit our pricing page and start creating your coin today! Standard Shipping Time 3-4 Weeks! Don't wait 2-3 months for your coins! Get your challenge coins in 3-4 weeks after art approval. Need them sooner? Ask us about our rush service! High quality brass custom challenge coin bottle openers are available in various sizes with a minimum diameter of 1.5 inches (38mm). 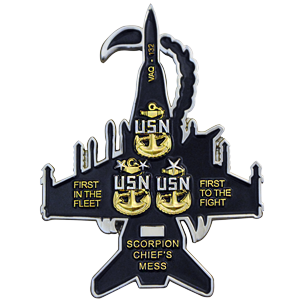 Need challenge coins fast? Produced at our factory in NY, our express challenge coins can ship from our NY factory within 2-4 business days of payment and art approval! Challenge coins have been a tradition in the military for over a century. We've made custom challenge coins for all branches of the armed forces. Starting at just $1.27 per piece! We specialize in filling large coin orders. If you need 100,000 coins quickly and at the best price we have you covered. We can also provide custom packaging! Contact us today for your bulk order! At LogoTags, we offer our challenge coins with no hidden fees. That means NO SETUP FEES AND NO ART FEES! Promote your brand, honor employees, and improve moral by handing out custom challenge coins. Starting at just $1.27 per custom coin! We know manufacturing and quality. Our parent company, Ball Chain Mfg. Co., Inc., has been manufacturing products in the USA since 1938. 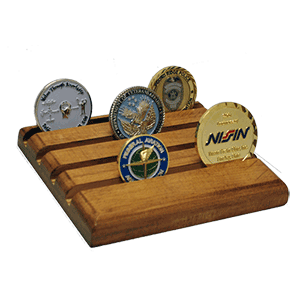 We have multiple display options for challenge coins. From single coin displays to collector sized display racks. We have created custom challenge coins for every branch of the military. Army, Navy, Air Force and Marines. 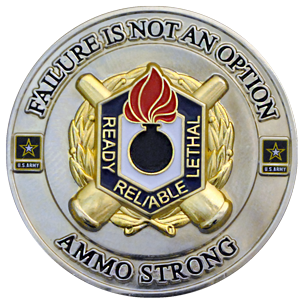 See some of the challenge coins we have produced for our customers. Laser engraved sequential numbering is available. The numbers can be engraved on the front, back or side of the coin.